The Pro Bono Project hosted its 29th annual ball to ensure justice is served. “Justice For All Ball” is the annual fundraiser to benefit The Pro Bono Project, which provides civil legal service through pro bono representation to private bar attorneys to the low-income residents in a six-parish area. More than 300 people joined the Patron Party festivities and enjoyed passed hors d’oeuvres from Commander’s Palace and Dickie Brennan’s Steakhouse. The evening’s specialty cocktail was created by The Pro Bono Project’s Executive Director Jennifer Rizzo-Choi, and was named The Chaser in honor of Chef Leah Chase. Emcee Mark Romig gathered guests for a thank you to Mrs. Chase, who was presented with an engraved bowl courtesy of Adler’s by Choi and Committee Chair Dana Douglas. 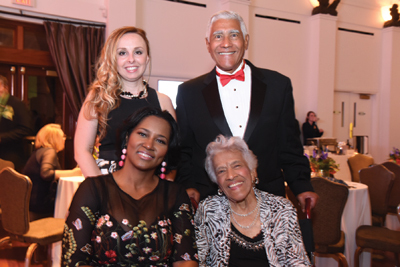 Keeping it a Chase family affair, daughter Leah Chase Kamata and her musicians provided musical entertainment. 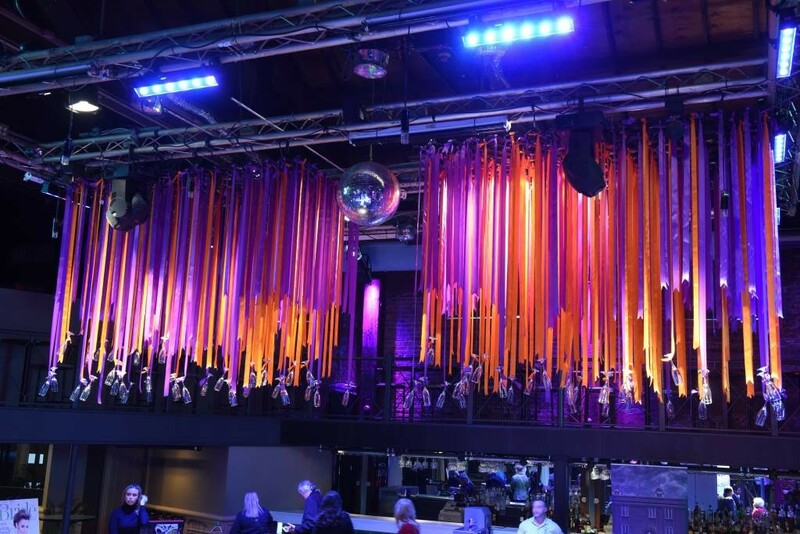 Following the program, the doors were opened to welcome the more than 600 partygoers attending the evening’s festivities. The Solomon Group lit up the room with a large LED video screen that projected images and information throughout the event, and also bathed the walls in a stunning golden red-russet to complement the Audubon Tea Room décor. More than 20 food and beverage providers along with the Audubon Institute offered guests a sampling of dishes. Later in the evening, the ever-popular cover band, the Bucktown All-Stars, brought guests to the dance floor. Auction tables zig-zagged across the back of the room with shimmery pink and teal tulle accenting the more than 40 silent auction items donated by area businesses and individuals. The live auction, hosted by John Calhoun, engaged the audience with prizes that included a coveted “NCIS: New Orleans” Behind the Scenes Tour. The ball wouldn’t have been possible without the JFAB 2017 Ball Committee, Volunteers and The Pro Bono Project Staff, who worked tirelessly to make certain the event ran smoothly for all guests.